As much of the United States shivers through a wave of brutally cold temperatures, house cats around the country are reporting that they are quite comfy, thanks. Could the magnetic properties of kitties be responsible? Discuss. 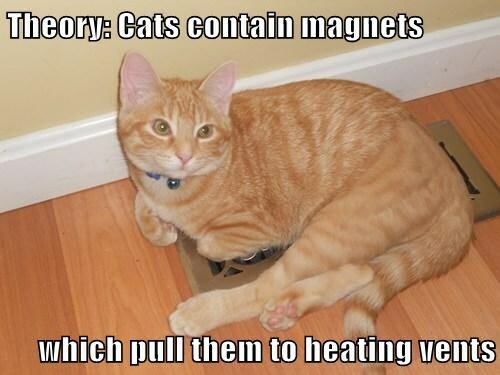 This entry was posted in Science Caturday and tagged cat heating vent, magnetic cat, science cat, science lolcat. Bookmark the permalink.